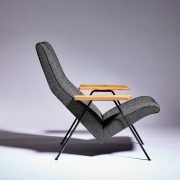 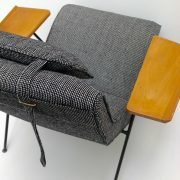 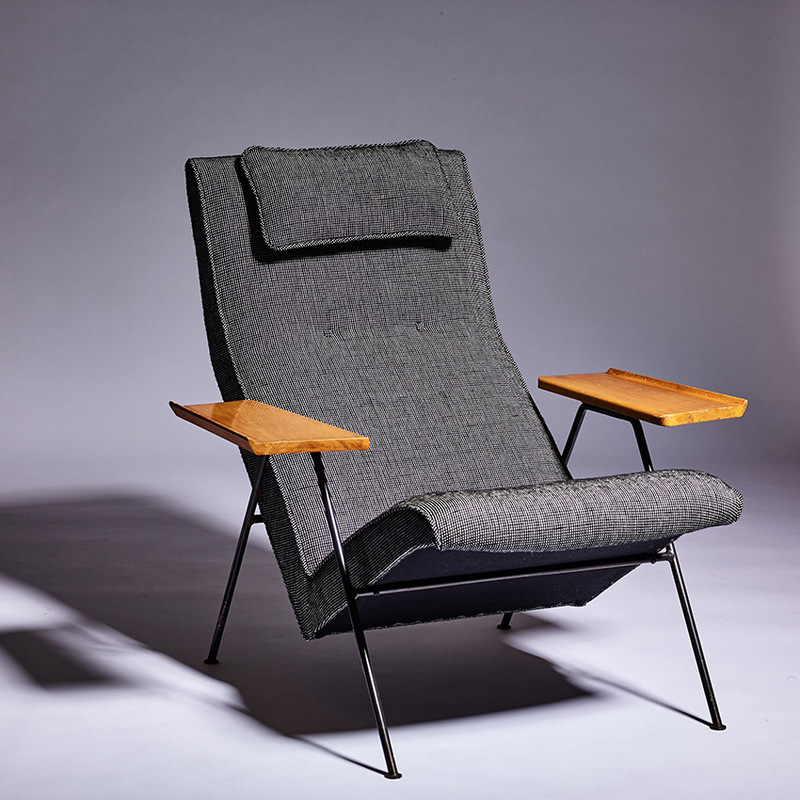 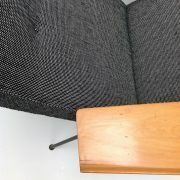 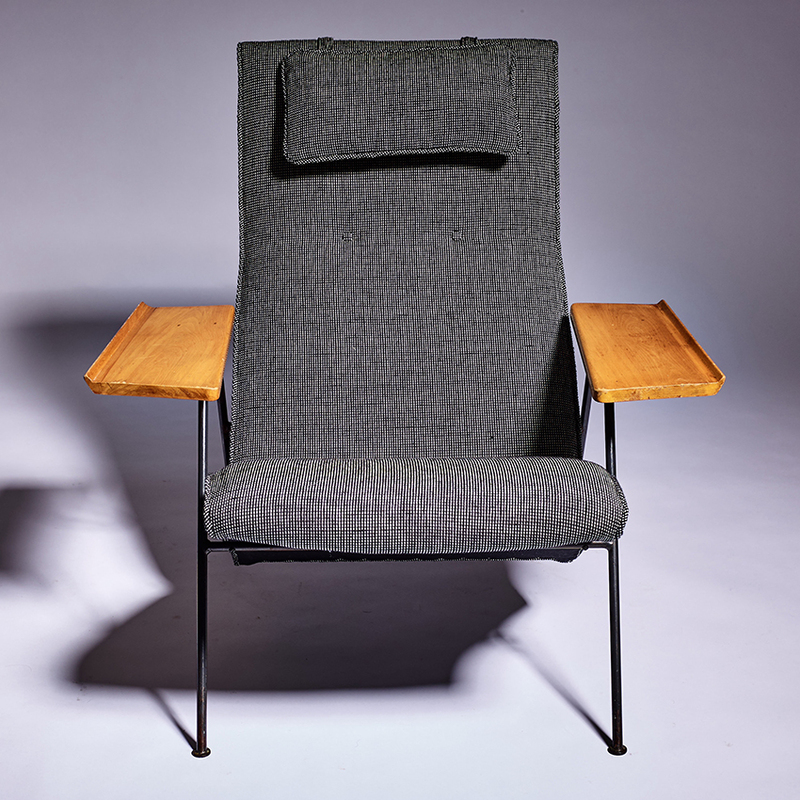 A great original Reclining chair designed by Robin Day and manufactured by Hille. This example was owned from new by Day’s favoured photographer Tony Mann who created the ‘floating’ look Day wanted in his sales brochures for the Hille range. The armrests and frame are all original with the ‘sought after’ patina. 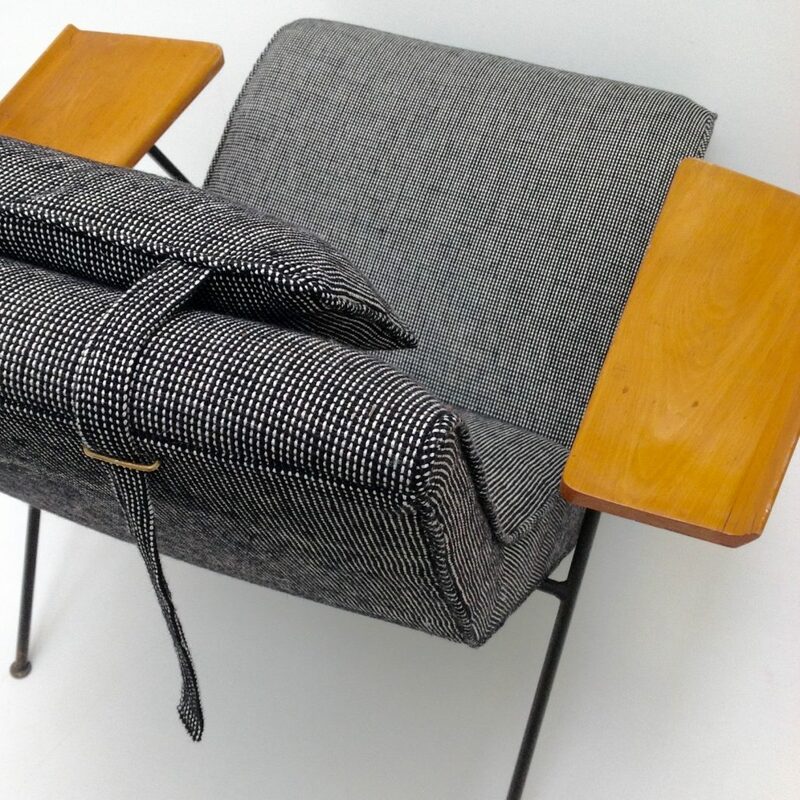 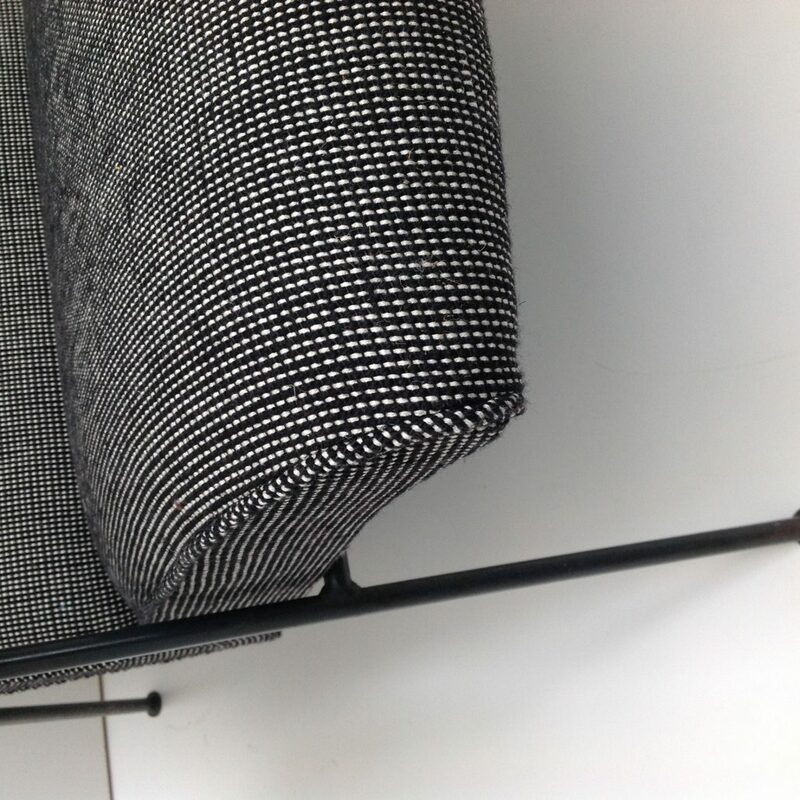 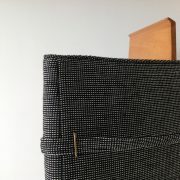 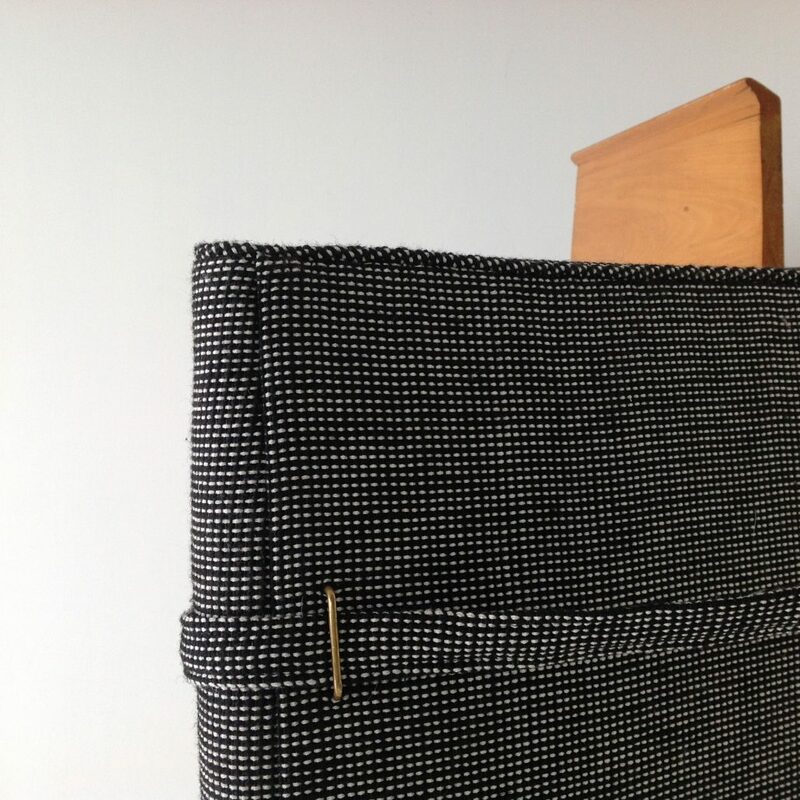 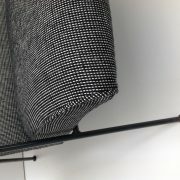 We have re-upholstered in Mourne textile by modernist designer Gerd Hay-Edie who was Day’s favoured textile designer for his early chairs.